As a leader innovative solutions provider focusing on loss prevention, safe automation, plant reliability, and green solutions, SIS-TECH SOLUTIONS offers full lifecycle services to users, engineering contractors, and insurers from on-going consulting services to complete SIS lifecycle implementation. 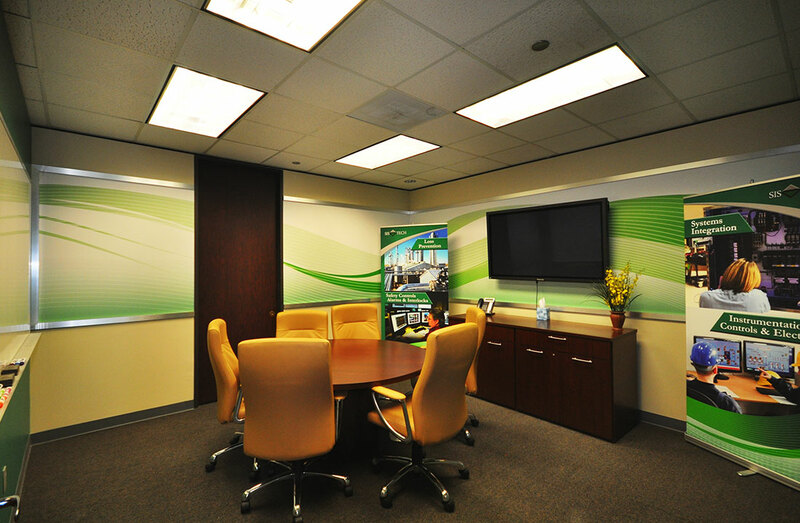 With a newly redesigned office space, SIS-Tech wanted its workplace environment to reflect the company culture, values and history. Initially they challenged 2020 Exhibits to refresh and brand their updated environment via interior signage and banner stands. To help SIS-Tech establish an environment fostering interaction and authority, 2020 Exhibits conducted a space assessment to better understand the functional, aesthetic and cultural requirements of the firm’s multipurpose facility. 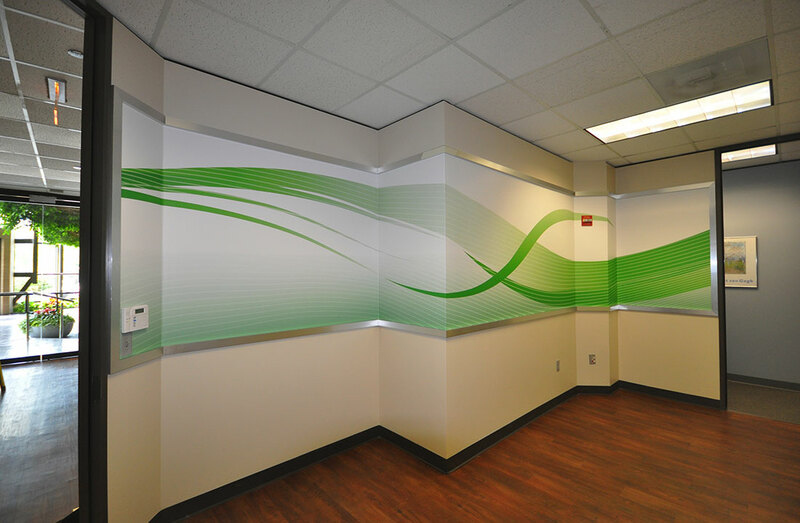 Doing so brought key objectives to light, with the 2020 Exhibits design team approaching SIS Tech with a more comprehensive, three-step approach to refreshing their corporate facility. First, 2020 Exhibits addressed the forward-facing first impression as seen in the entrance and lobby with crisp, compelling graphics. 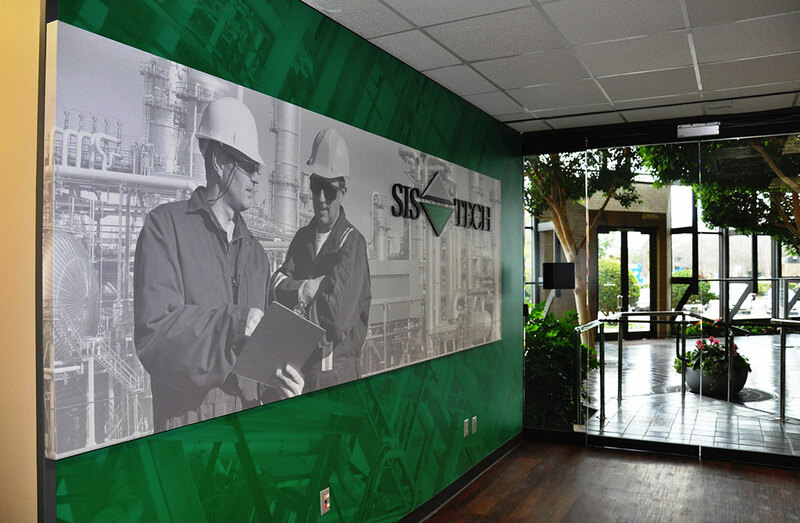 As a multipurpose facility, SIS-Tech not only hosts invited clients but with their industry leading position they have a robust schedule of training and continuing education and learning which is held in their on-site training center. Connected via primary hallways these arteries also serve as a waiting and break area, before, during and after each training session. 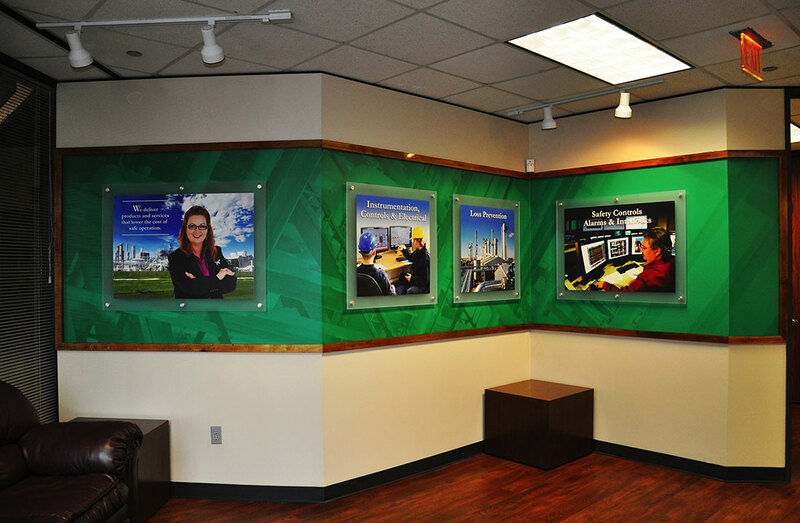 What better way to share the SIS-Tech story and to reinforce their brand than with custom branded history wall? 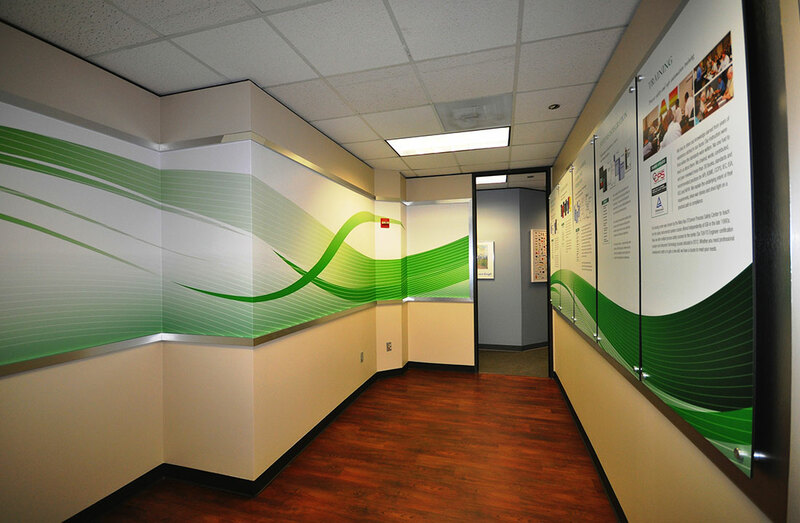 Subtle yet effective, the creative design reinforces the brand and its values.